Item number N2.781 from the MOA: University of British Columbia. 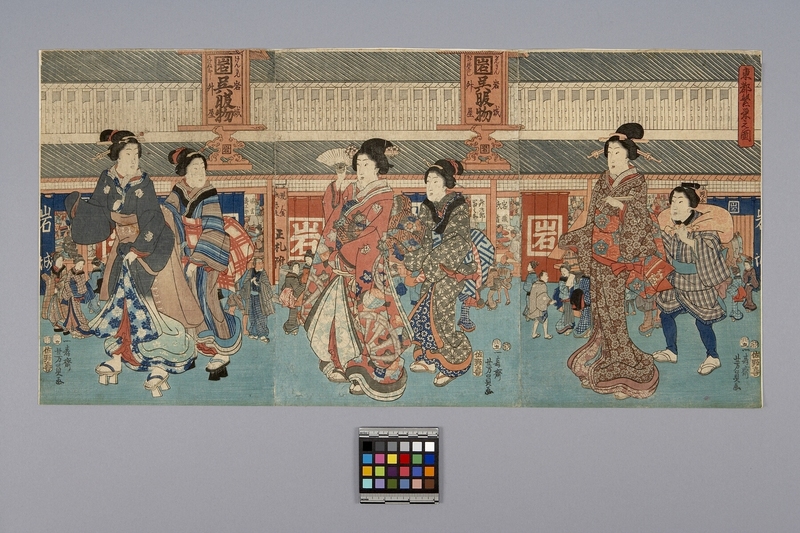 Three panels hinged together showing five ladies and a boy (servant) at a market place. Two ladies at left are not wearing socks. Background is of store keepers and other shoppers. Colours are red, blue, grey, brown and white. Adhered to cardboard support.